CINCINNATI -- Hanifa Nakiryowa was in her home country of Uganda and had escaped an abusive marriage just three months earlier when it happened. As she waited outside her estranged husband's home to pick up their daughters, a man dressed as a security guard threw acid in her face. Nakiryowa remembers screaming in pain as the corrosive liquid burned her skin. By the time neighbors rushed her to Mulago Hospital, doctors could do little more than keep her comfortable and give her seared skin time to heal. "I was literally raw and faceless," she said. "My nose had fallen off. I had lost one eye. The scarring had disfigured my entire face. But I had a voice." 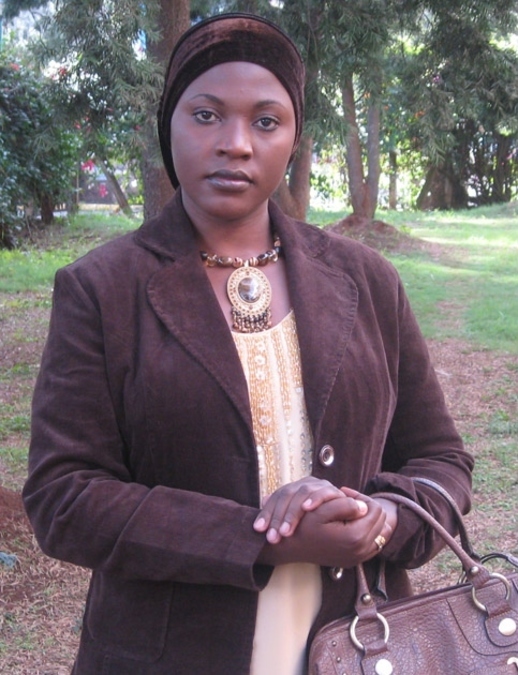 Hanifa Nakiryowa before the attack. Nakiryowa had been raised to be quiet and obedient in her patriarchal homeland. Nonetheless, she decided to use her voice to speak out for herself and other survivors of acid attacks. 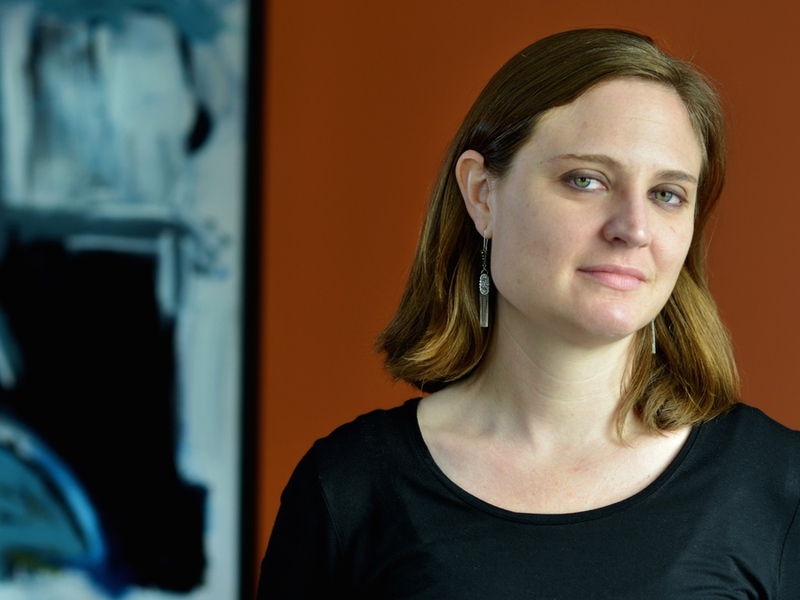 In 2012, she formed the Center for Rehabilitation of Survivors of Acid and Burns Violence -- known by the acronym CERESAV -- to raise awareness about acid violence in Uganda and to give survivors a place where they felt they belonged. Just two years later she gained an unlikely ally in Dr. Angie Vredeveld, a Cincinnati psychologist who wanted to help. Vredeveld registered CERESAV USA at the end of 2015 and got the organization's official nonprofit status earlier this year. So far, the Cincinnati-based arm of CERESAV has raised about $5,000 to help fund work in Uganda and has helped funnel medical supplies and support to survivors there. The U.S. affiliate even launched a Change.org petition that got more than 279,000 signatures and pressured Uganda's president to sign a long-stalled toxic chemical bill into law. The Cincinnati organization has had such an important impact for CERESAV that Nakiryowa now thinks of the city as "a little heaven," she said. "It really is central to whatever we are trying to do for CERESAV in the U.S.," Nakiryowa said. "We call them our hub." RELATED: Hanifa Nakiryowa is in Cincinnati for several events. Details are at the end of this story. The story of how Nakiryowa and Vredeveld started working together is one of two strong women willing to bridge a distance of more than 7,500 miles to make a difference. Vredeveld's interest in acid attack survivors started in Uganda in 2014 when she was working with a small non-governmental organization that served refugees there. As part of her work, she made home visits to counsel people, especially people who had not left their houses in a long time. One of the people she visited was a woman who had survived an acid attack. The woman had not left her home for two years. Vredeveld worked with her for eight weeks and gradually made progress. The woman asked Vredeveld to help her get reconstructive surgery. Vredeveld had never done anything like that. But when she returned to the U.S., she researched it and helped the woman get a series of surgeries at the Grossman Burn Foundation in California. Burn unit where Hanifa Nakiryowa recovered. As it turned out, Nakiryowa knew the woman that Vredeveld helped and reached out to Vredeveld to thank her. Nakiryowa and Vredeveld started corresponding by email, and Nakiryowa explained her work with CERESAV. Almost immediately, Vredeveld wanted to help. "There was something about Hanifa's vision that I thought was practical and, from what I had experienced in Uganda, was desperately needed," she said. For Nakiryowa, Vredeveld's involvement has been a blessing. Both organizations have fewer than a dozen combined dedicated volunteers working on their missions. But those small numbers have managed to make meaningful changes. In addition to the Change.org position, CERESAV's U.S. affiliate has raised enough money to hire an executive director in Uganda to manage the organization there. That's crucial because Nakiryowa and her two daughters now live in Pittsburgh while she pursues a second master's degree at the University of Pittsburgh. 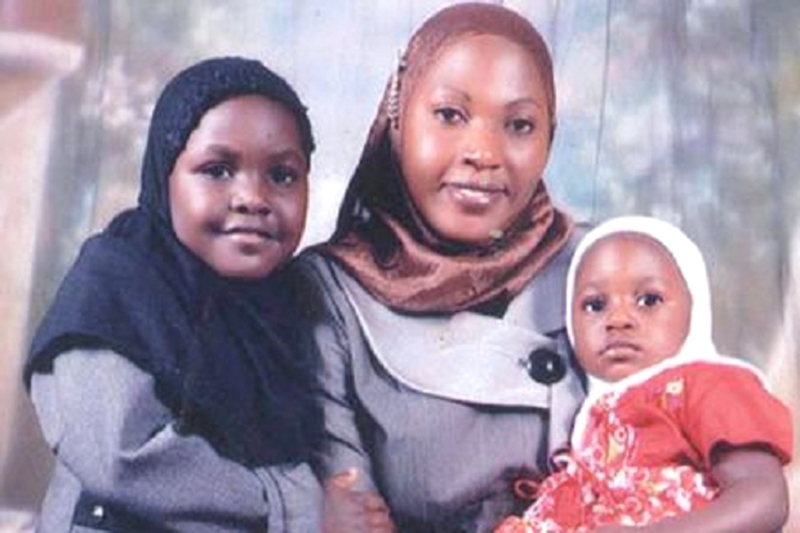 Hanifa Nakiryowa with her daughters in a photo taken before the attack. Ultimately, Nakiryowa has much bigger dreams for CERESAV. 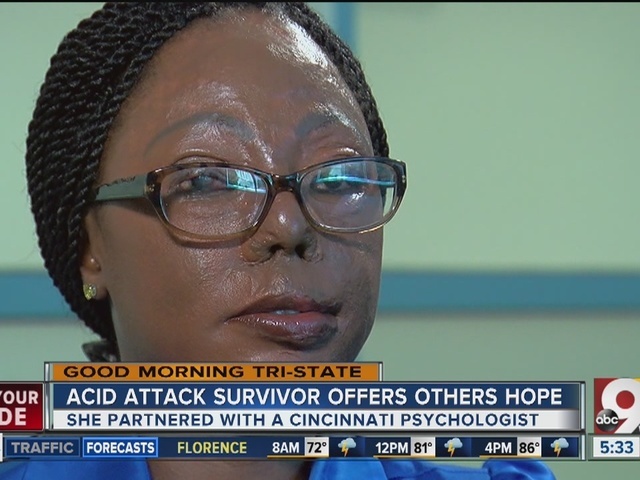 She wants the organization to raise awareness about acid violence in Uganda with a goal of zero tolerance for the attacks and acceptance for the survivors. In the country's current climate, women who are attacked typically are blamed. In Nakiryowa's case, she said, her husband was investigated under suspicion that he was behind the attack. But the charges were later dropped. "What I saw in the media was it was blamed on me," she said. "My ex-husband was blaming me for the attack, saying I was disobedient." Nakiryowa found little support from her own family, she said, because the feeling was that she had given her family members a bad name. Because of that, CERESAV's first mission was to give survivors someplace where they felt they belonged. Acid attack survivors after a CERESAV support meeting. Now the organization has grown to offer medical assistance, help with nutrition and training to give survivors more financial independence. CERESAV also wants to push for new laws in Uganda that are specific to acid attacks. Nakiryowa described the group's mission as encompassing advocacy, lobbying, economic empowerment and psychosocial support. "It's a big job to take all of that on," she said. "But one step at a time, we are picking up one objective at a time." Nakiryowa is convinced Vredeveld and her supporters in Cincinnati can help CERESAV take on even more. In addition to the money CERESAV USA is raising and the supplies that the Cincinnati organization has helped secure, the local group also has started an interfaith prayer team of nearly 700 people around the world. Those prayers, Vredeveld said, have brought tremendous comfort to survivors of acid attacks who feel especially lonely during their early days in the hospital. "She's a gift from heaven," Nakiryowa said of Vredeveld. "At the time when I met her, we were in someone's garage who had donated space. But today we have an entire building. We have a paid executive director. She has helped us get to another level -- a different level from what I ever envisioned within a short period of time." From Vredeveld's perspective, it's her responsibility to help. "I got involved with this an felt inspired to be involved because it was such an obvious need that was right in front of me," she said. "I really feel like as Americans, as people who have access to more resources than almost anybody in the world, I just feel that there's a really basic responsibility that we have to do something about atrocities." Hanifa Nakiryowa before, left, and after she was attacked with acid. • Monday, Aug. 15: Clifton Farmer's Market from 5 p.m. to 8 p.m. Jewelry and crafts made by acid survivors will be there for sale. • Tuesday, Aug. 16: Empowering Women Lecture at First Unitarian Church of Cincinnati at 6 p.m. Co-hosted by Women's City Club of Greater Cincinnati. Click here for details and to RSVP. • Wednesday, Aug. 17: Making a Difference in Africa Lecture at St. John's Unitarian Universalist Church at 6 p.m. Co-hosted by African Professional Network and the Foreign Leadership Policy Council. Click here for details and to RSVP. • Friday, Aug. 19: Healing Power of Prayer Lecture at Kennedy Auditorium at Xavier University at 5:30 p.m. Co-hosted by Center for Interfaith Community Engagement at Xavier. Click here for details and to RSVP.